The band opened with Tomorrow Never Comes, off the new album Of Faith, Power, and Glory, a hard, fast track to get the crowd pumped early. 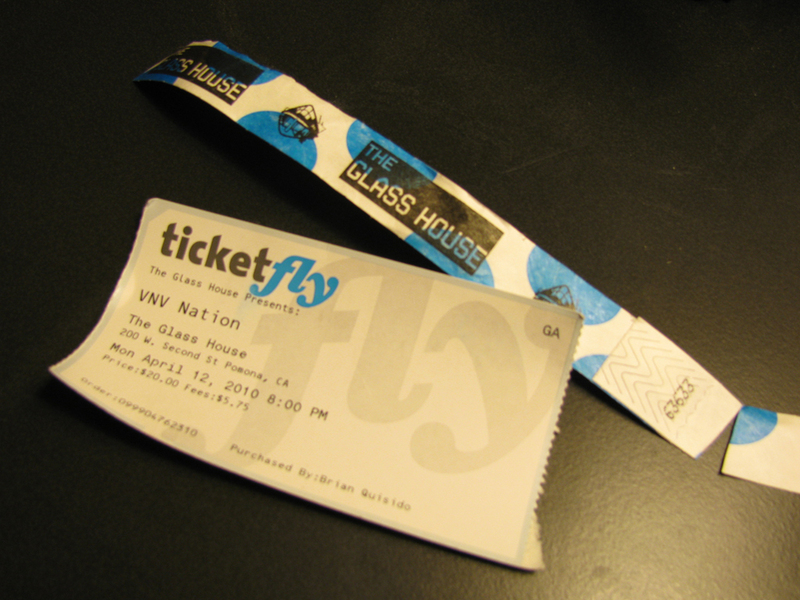 Speaking of the crowd, despite the size of The Glasshouse, this was one of the best audiences I’ve been a part of to see not only VNV, but any band. We were singing along with every track and not one person wasn’t dancing. As Ronan said on stage, the audience is half of the show. He was amazed at how many people came out, especially on a Monday night in the Inland Empire. Then they went into a couple old tracks like Joy, Darkangel, and Further before going into another new track Sentinal (yes it’s spelled that way on the cd). The place really got moving when they played Chrome and of course Illusion meant lighters out. I can’t remember the order of the rest of the tracks, but I do know they did three encores! The first featured Ronan on the keyboard playing the touching track From My Hands while one of the other keyboard players had his camera aimed at the crowd. The second they did classic tracks Standing and Legion, which Ronan said if you didn’t know these songs then you REALLY needed to catch up. Finally they ended the night with the uber industrial anthem Beloved and the soccer anthem Perpetual. 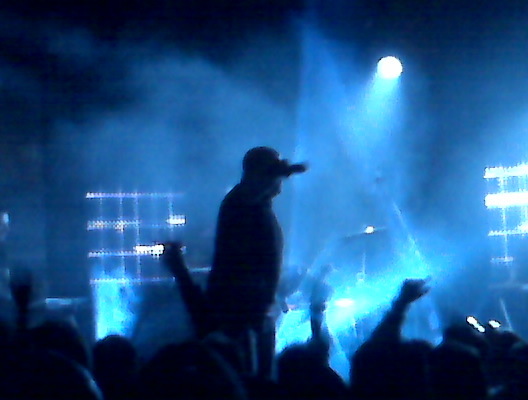 If you haven’t seen VNV Nation, they really are a must see band. Their interaction with the audience is unlike any other bands I’ve seen. If you’ve ever went to a show where the singer just talks and talks and you wish he would just play the next damn song *cough* Rob Zombie, then VNV is the exact opposite. They really make you feel like you are a part of the show.